Ever since the first of Nokia Android smartphones were spotted on the benchmarking websites, Nokia fanboys and prospective smartphone buyers have been eagerly awaiting the erstwhile feature phone king to launch its first Android smartphone. After it was confirmed that the first of Nokia Android device, Nokia D1C was, in fact, a 13.8-inch tablet running on Android 7.0 Nougat, Nokia fans were awaiting the release of the tablet and other Nokia Android smartphones during the busy holiday season of 2016. However, new reports indicate that Nokia’s four Android devices (1 Android Tablet and 3 Android smartphones) will be available only in the first half of 2017. The news was confirmed after a company called HMD Global purchased the rights to manufacture, sell and advertise all Nokia smartphones. According to a new report on Adweek, HMD Global will kick off a huge marketing campaign for the four Nokia smartphones only in early 2017. This means that the Finnish smartphone manufacturer plans to launch its first Android smartphone only next year. In fact, HMD Global has chosen the famous ad agency, Mother as its lead global agency to make advertisements for Nokia Android smartphones. Both companies have already confirmed the deal and offered comments on the matter. 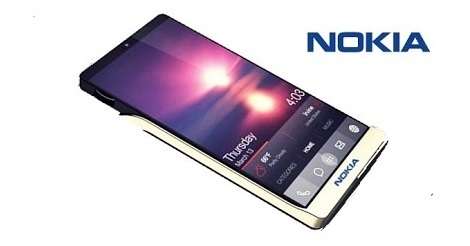 “Nokia is a truly iconic, globally recognized and trusted brand. As the exclusive licensee of the Nokia brand for mobile phones and tablets, our ambition was to find a like-minded agency who grasped both the opportunity and responsibility in bringing a new product range to market. We are confident that in Mother we have found a partner who can help us do so for a new generation of consumers around the world,” said HMD Global CMO Pekka Rantala stated. Rumors suggest that the Nokia Android smartphones will feature QHD displays, metal shells 22.6MP camera and top of the class batteries like the old Nokia feature phones. Also, Nokia smartphones are speculated to feature high-end Snapdragon 820 processors together with water and dust resistance features. From the above news, it is confirmed that the first of Nokia Android smartphones will only be available to buyers in the first half of 2017. Those buyers who had been putting off buying new Android smartphones till the holiday season in expectation of buying Nokia’s first Android offerings will have to put off their buying plans till 2017. Their patience would be well worth it provided Nokia comes out with quality Android smartphones like the rugged and long lasting Nokia 1100 and 3100 phones it is remembered for.